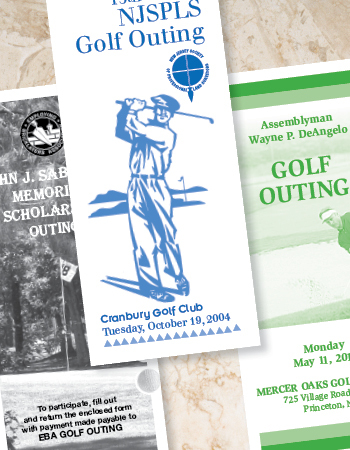 Does your organization have an upcoming golf outing? Get the word out with a brochure. We can use your artwork or create a custom piece. We offer mailing services as well. Contact us today. Be sure to check out our Golf Tournament Event Planner.